Having recently traveled interstate via plane, it is quite easy to get swept up in the daily hustle and bustle at the airport. In the rush of being one amongst the thousands of passengers traveling every day, checking baggage in, passing security and locating your gate; it is easy to neglect some of the smaller but essential jobs that must be completed for an airport to function properly. Being a man who always has to be early, I was at my gate with over an hour to spare. Whilst staring off at nothing in particular lost in my own thoughts in order to kill time, I noticed a man in a wheelchair being escorted by airport staff to his plane. This got me thinking: How exactly do airlines coordinate passengers who require special needs? 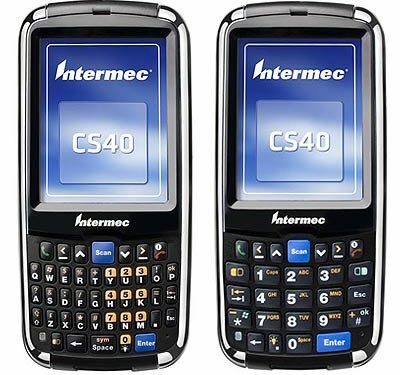 The answer I found out lies in handheld computers such as the Intermec CS40. The process is simple. Firstly the dispatcher will send a pick up over a 3G WAN to the handheld computer that all agents will carry. This will tell them where to go in order to pick up their passenger. The agent will then scan the boarding pass of the customer and the barcode of the gate to enter a location. This ability to scan 1D or 2D barcodes effortlessly is essential as it saves the hassle of entering in information manually through a PDA or other devices. Then once the agent has delivered the passenger to their gate, they simply scan the location again which lets the dispatcher know that they are ready for another job. This process is extremely efficient with the operator being able to scan the boarding pass at any angle in a matter of seconds – saving time and ensuring more passengers arrive to their gate at the right time. It’s amazing what we can see if we simply stop and slow down enough to take the world around us in. Technology has become so embedded in our culture that we simply don’t pay it any attention anymore. Yet if we stop and look around for a few moments – it is clear that technology has made our lives much easier and one can only wonder what the future holds.